Bringing people together who share common values, dreams and wishes is awesome. With WordPress community themes and such great and popular plugins as BuddyPress or bbPress you are able to set up highly professional and fully functional social networks or community portals. Community WordPress themes are perfect to build attractive hobby or dating websites, niche communities, networks for a specific topic or just for socializing and bringing people together. Community WordPress themes should be compatible with the most popular community plugins like BuddyPress and bbPress which enable you to create community websites for sports teams, companies, schools or any other communities. But furthermore, you could benefit from some additional features like for example custom widgets to display content nicely and in a well organized and flexible manner, unique page templates, paid membership functionality or social network connection like for example Facebook login. Launching community websites can be lots of fun when you have the right community WordPress theme in place which helps you to bring people together who share the same interests, thoughts or goals. To support you in making the right choice for your website, we have gathered some of the most popular and modern community WordPress themes for these various purposes. Most of these community themes come with popular features as well as with BuddyPress, bbPress, MailChimp or Paid Membership Pro compatibility. Slimvideo is a flexible community WordPress theme with awesome features. You may create rich community websites by taking advantage of infinite layouts, colors, several different post types and article views as well as video layouts. To present your content nicely, you can use the included custom widgets and arrange them according to your personal liking…. 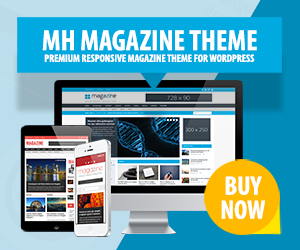 MightyMag is a flexible WordPress theme which can be used for powerful community websites. This modern WordPress theme is compatible with WooCommerce, BuddyPress, bbPress and offers further useful features to create all kinds of community related websites. Thanks to its flexibility you can set up various websites and combine editorial related content with community spirit….